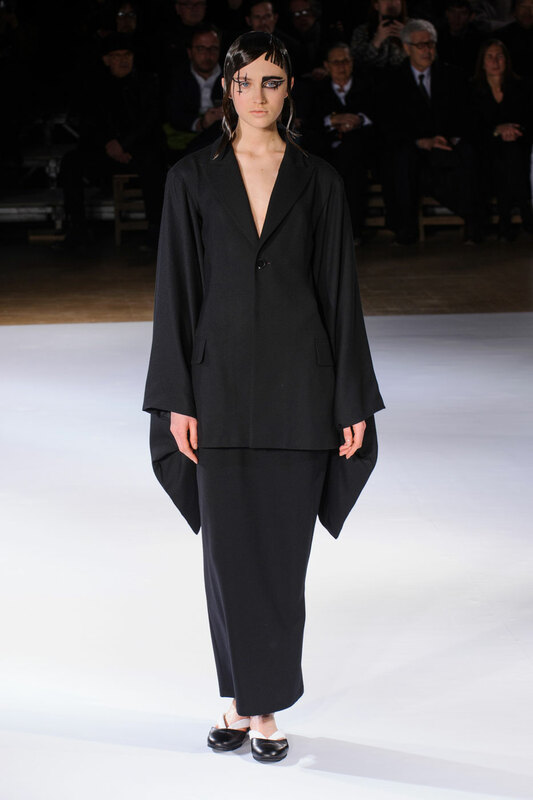 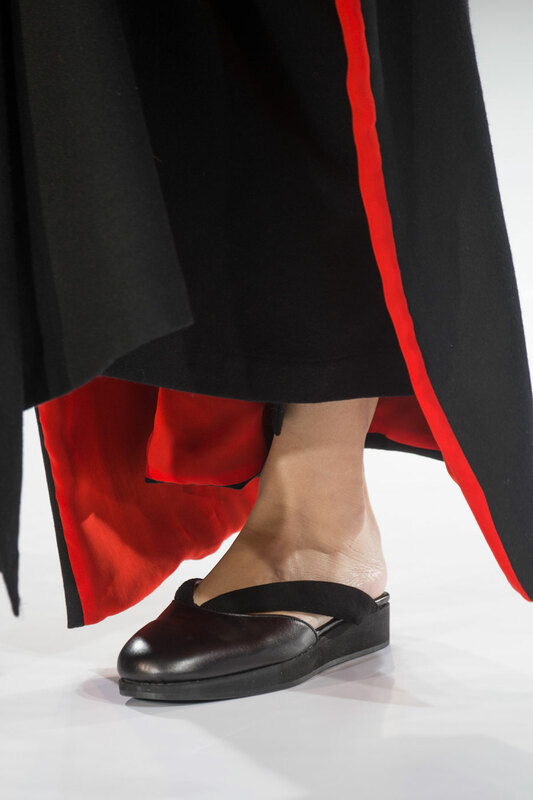 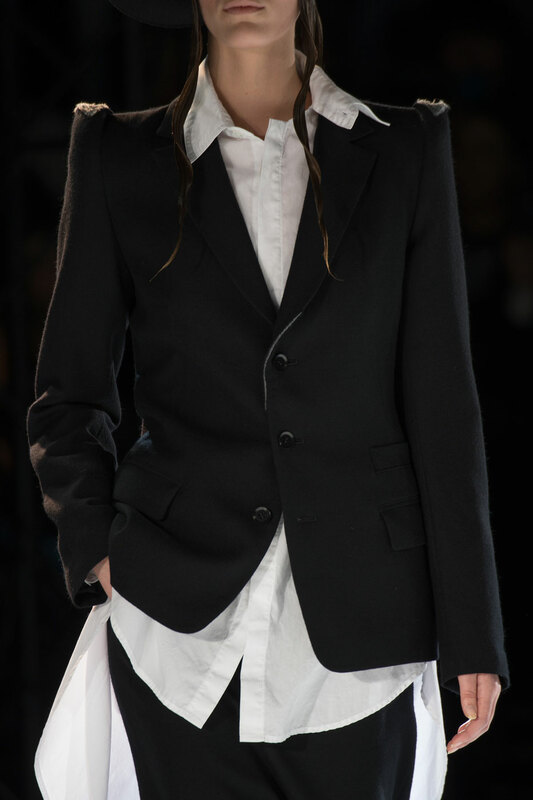 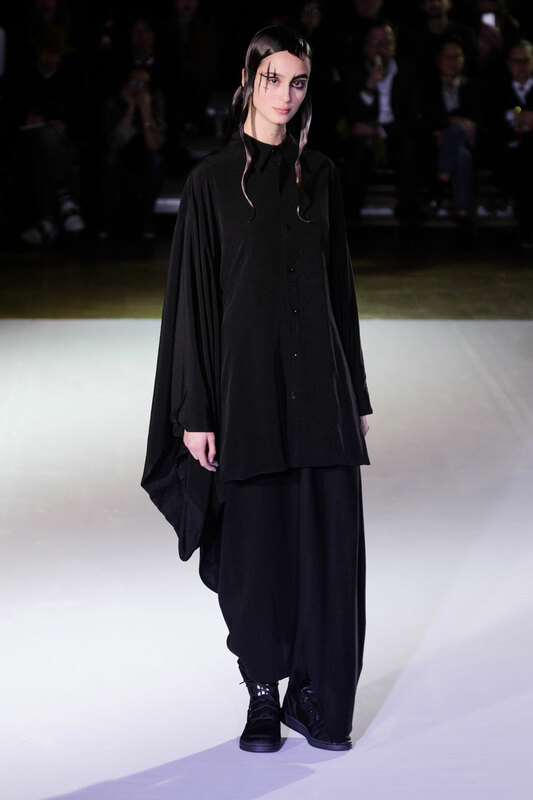 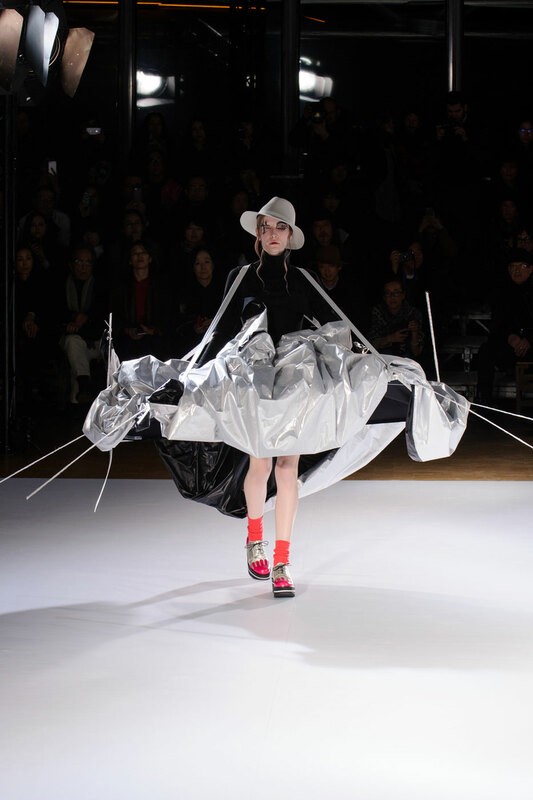 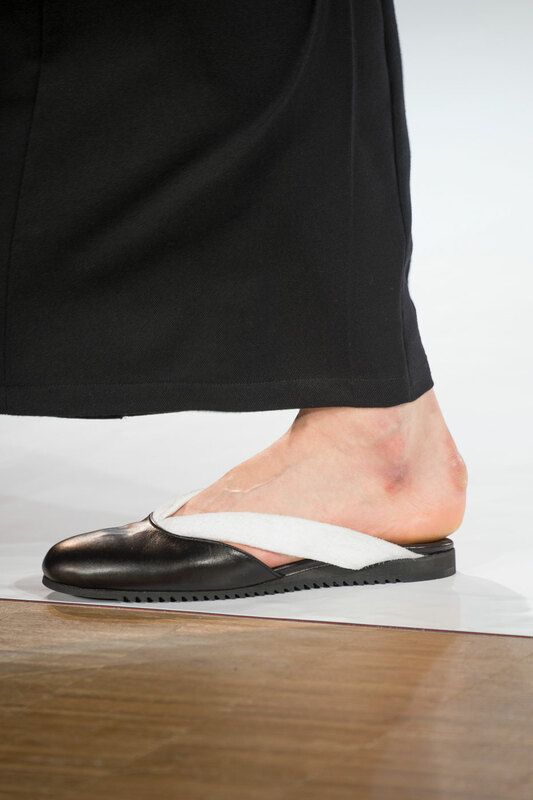 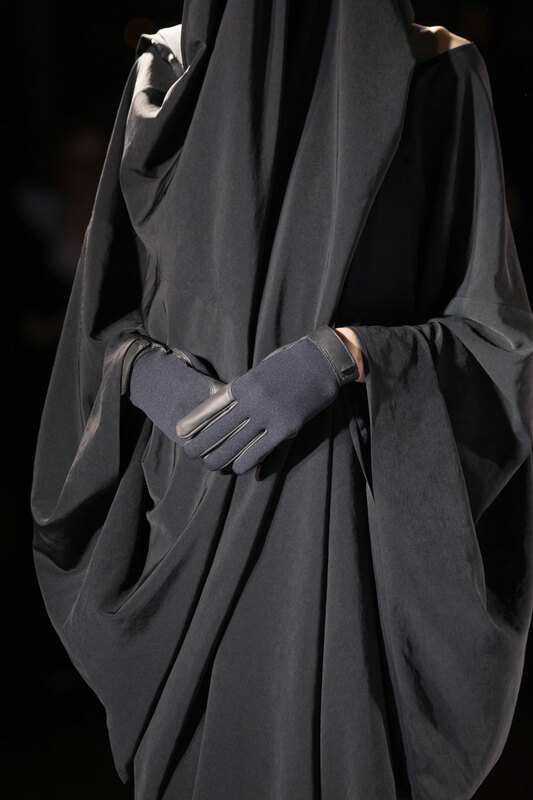 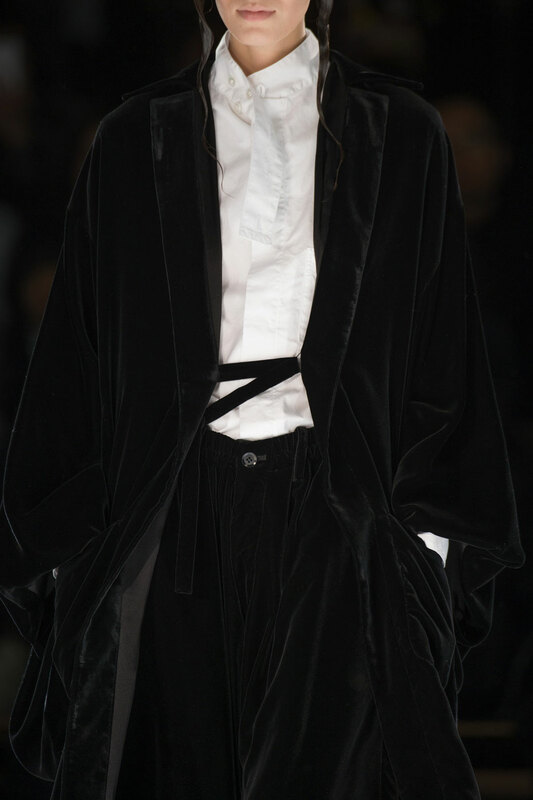 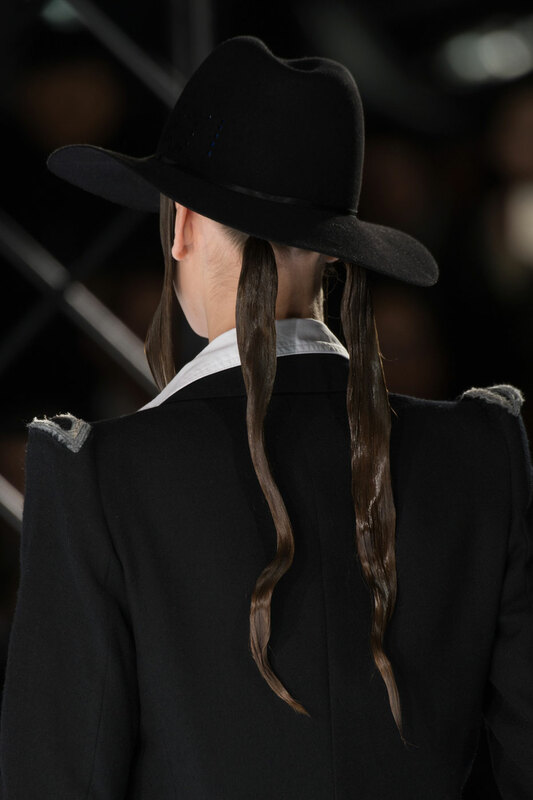 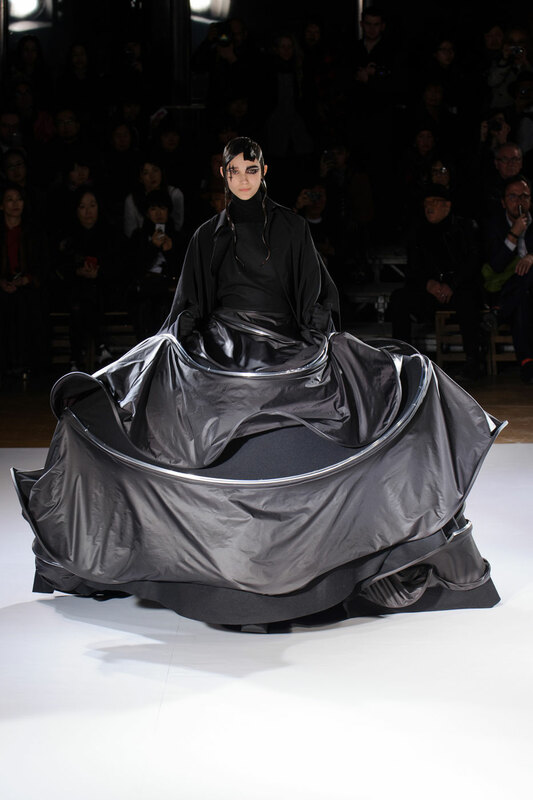 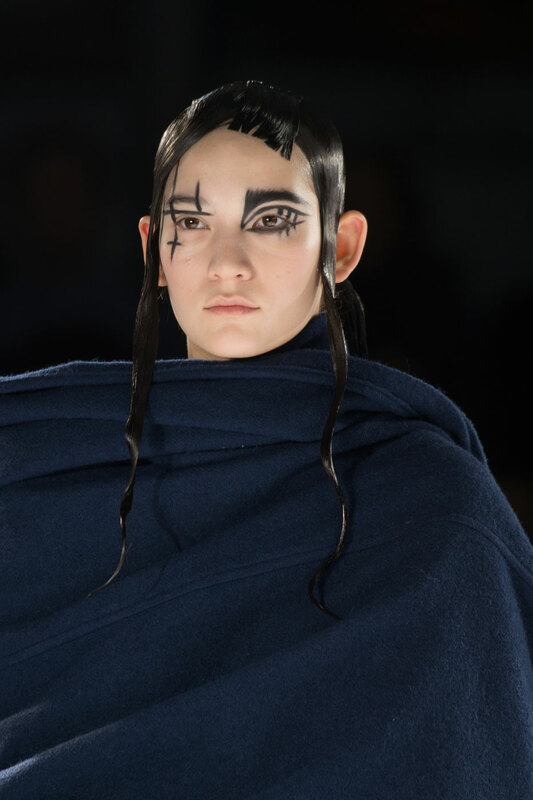 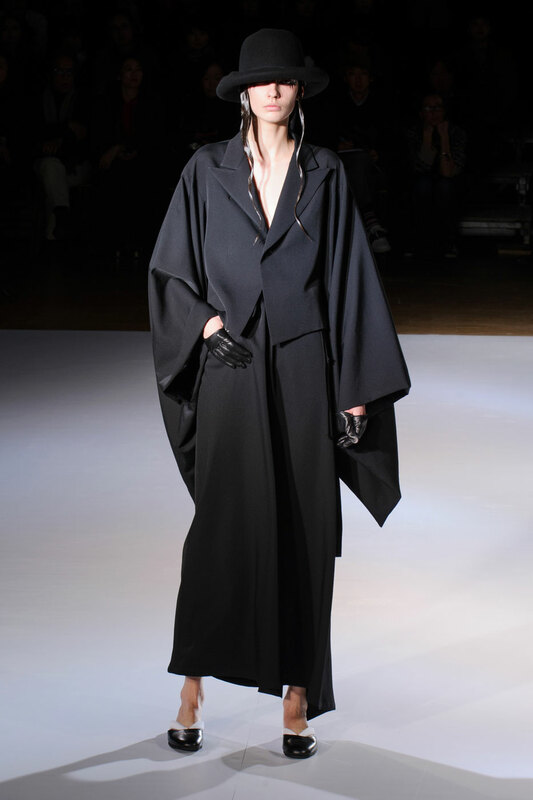 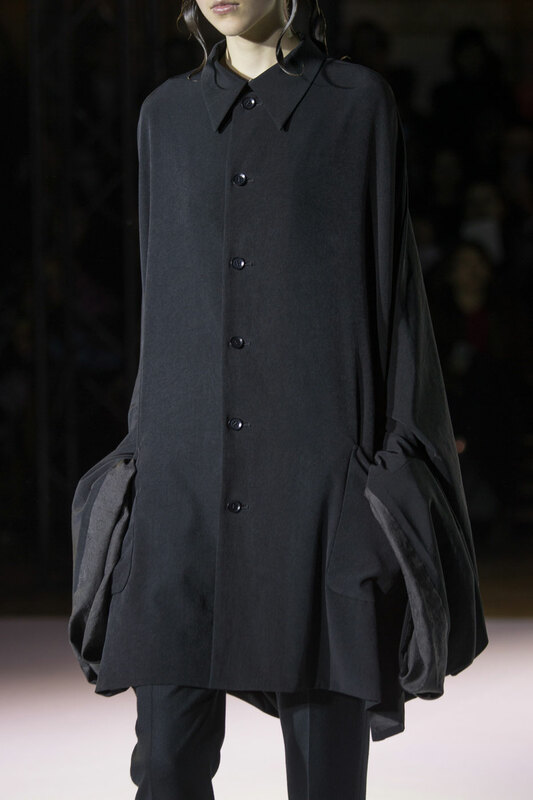 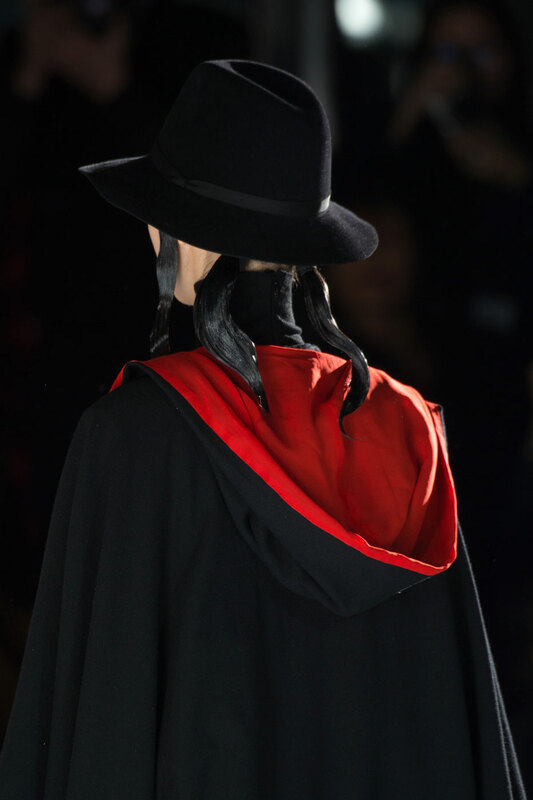 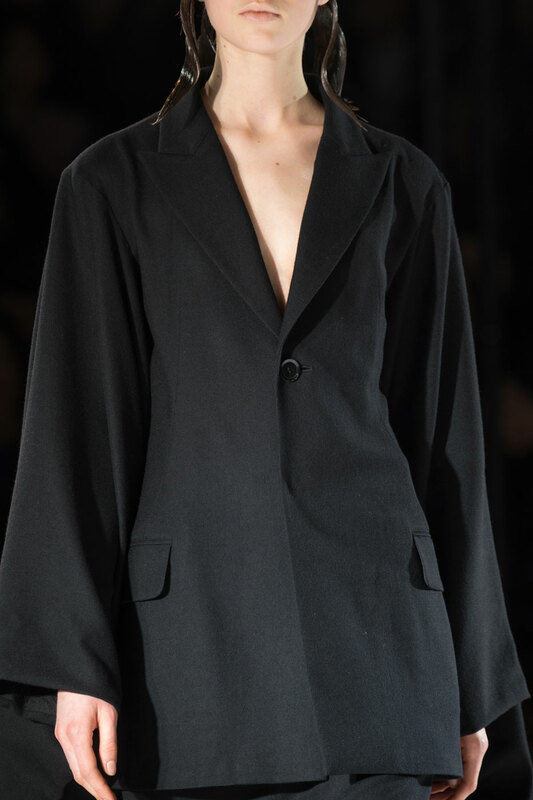 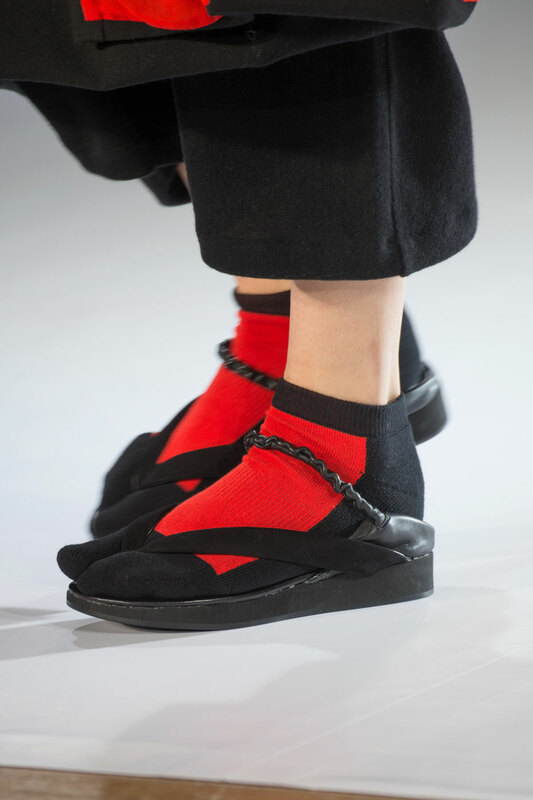 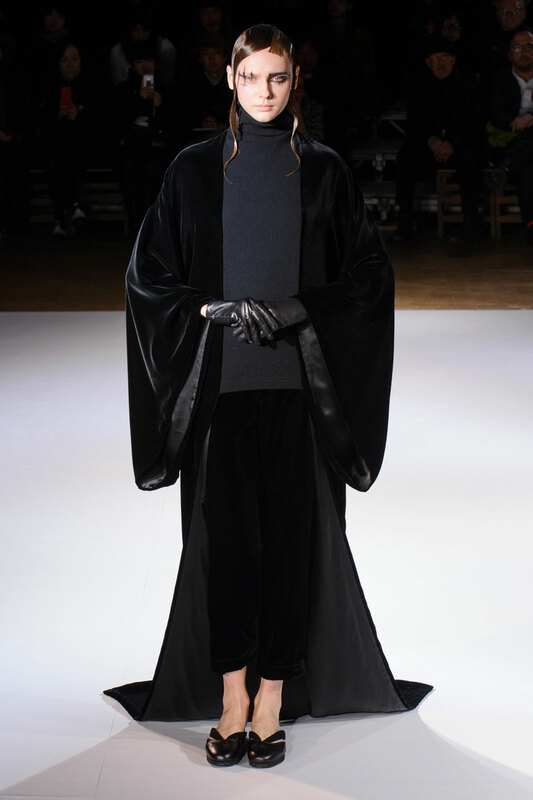 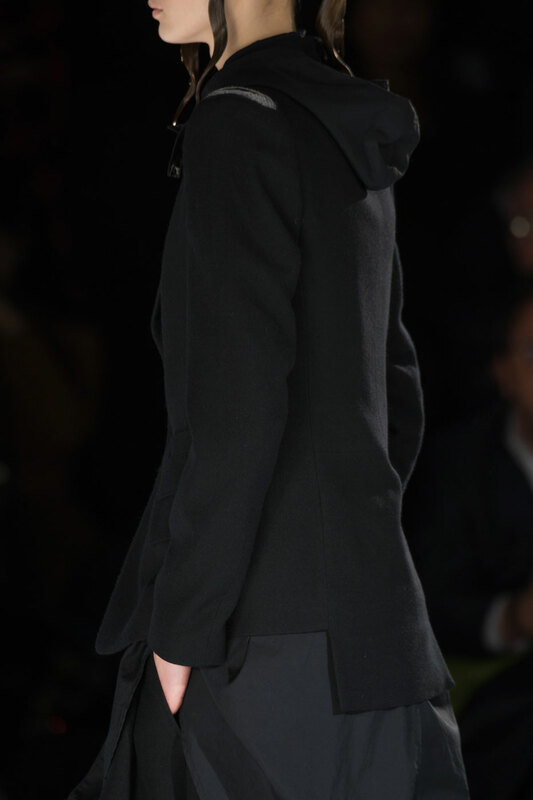 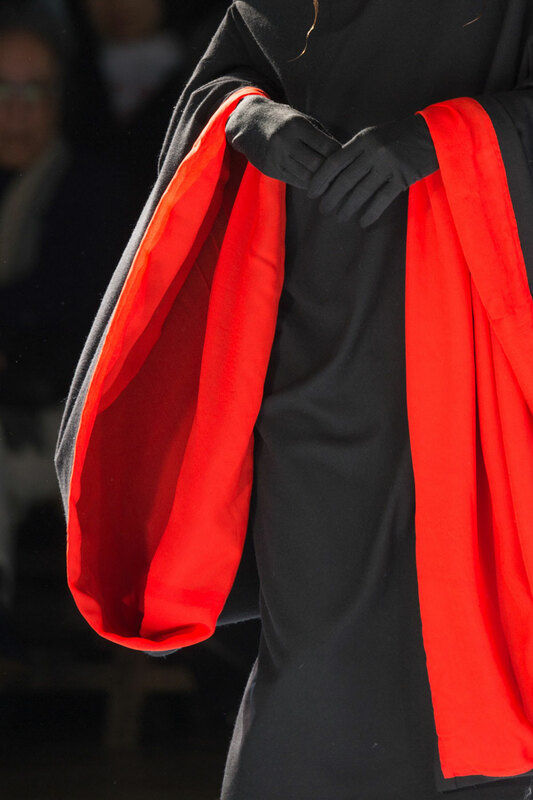 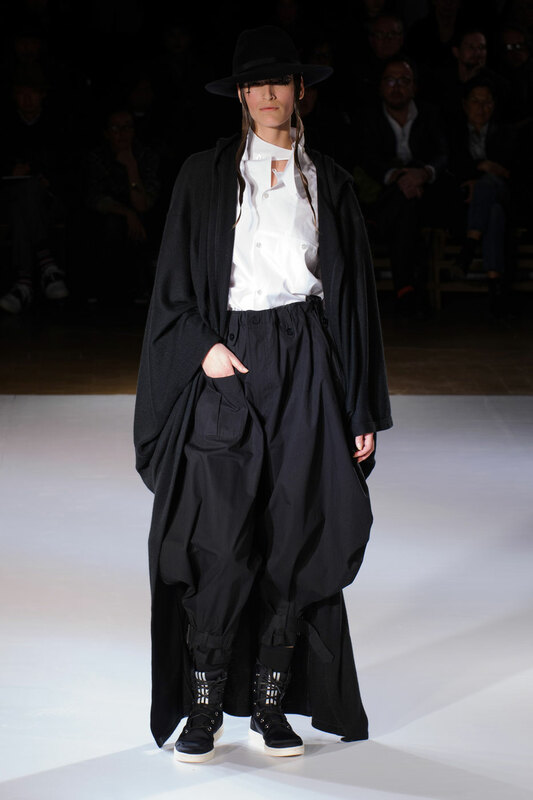 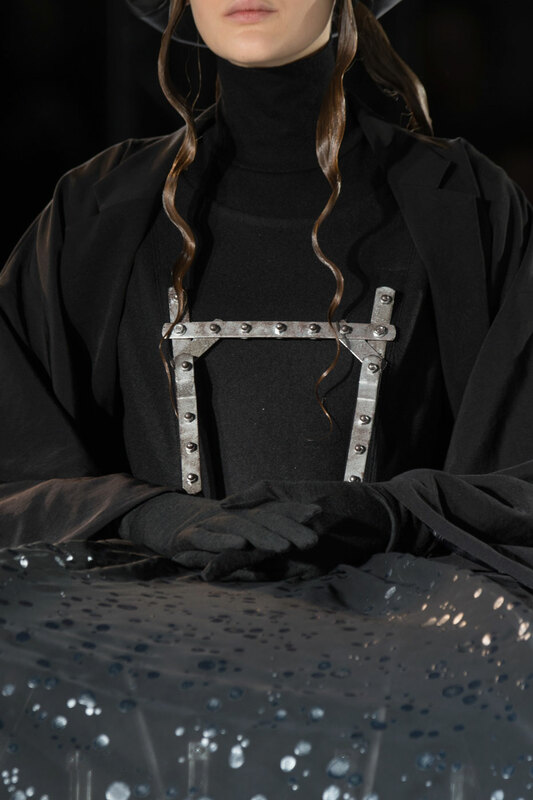 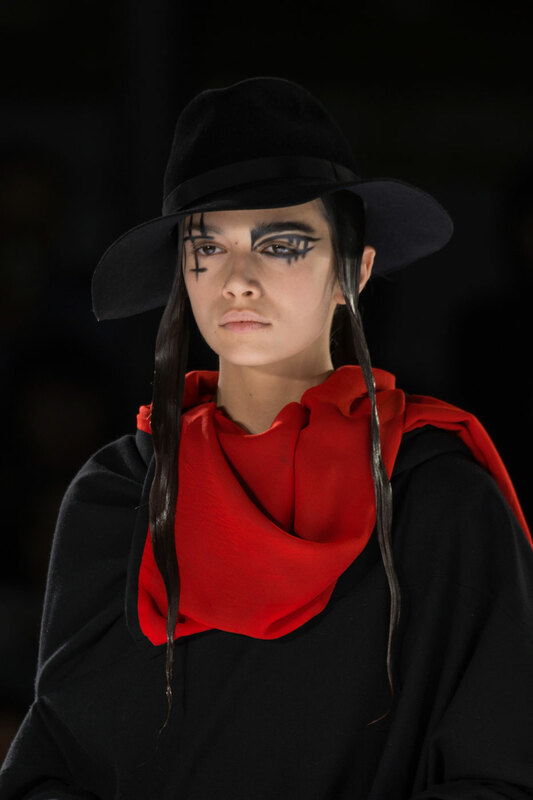 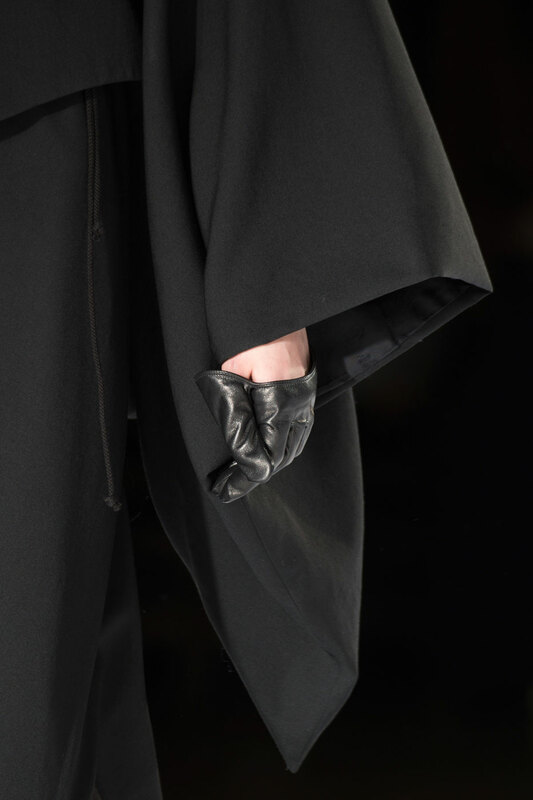 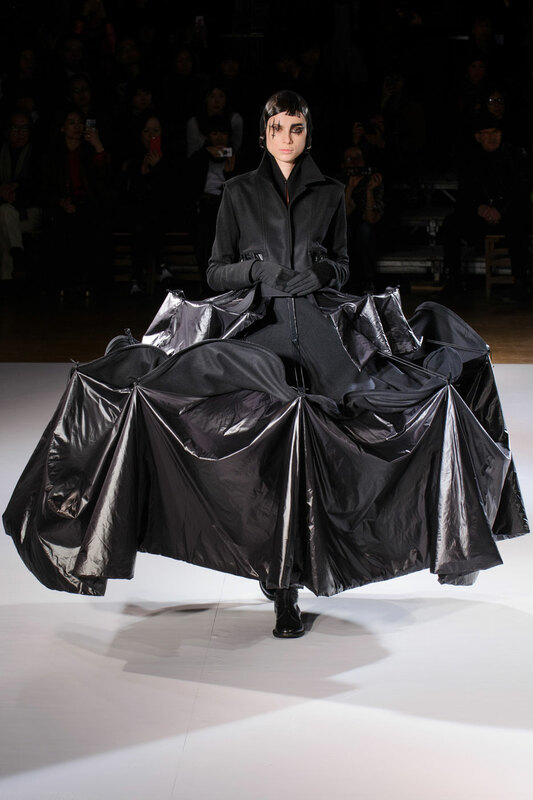 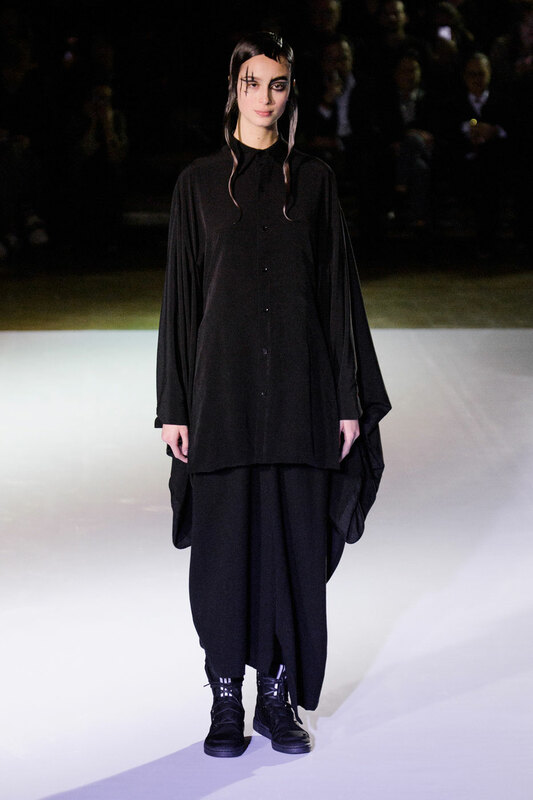 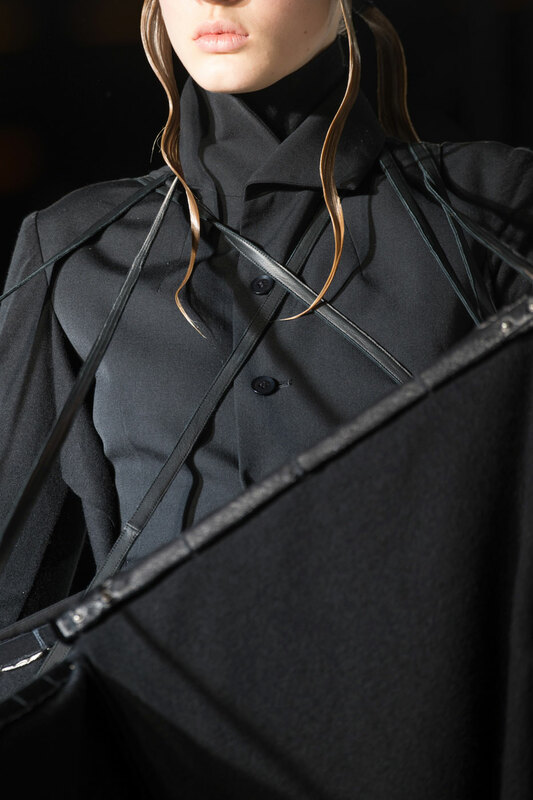 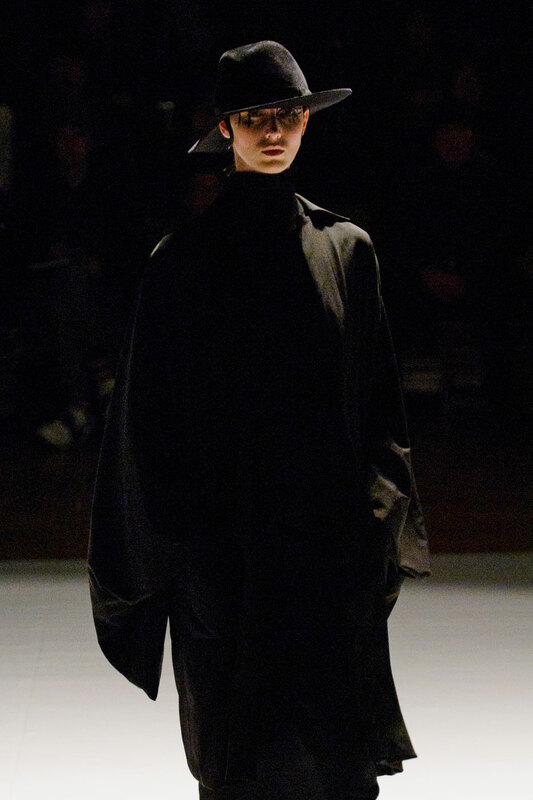 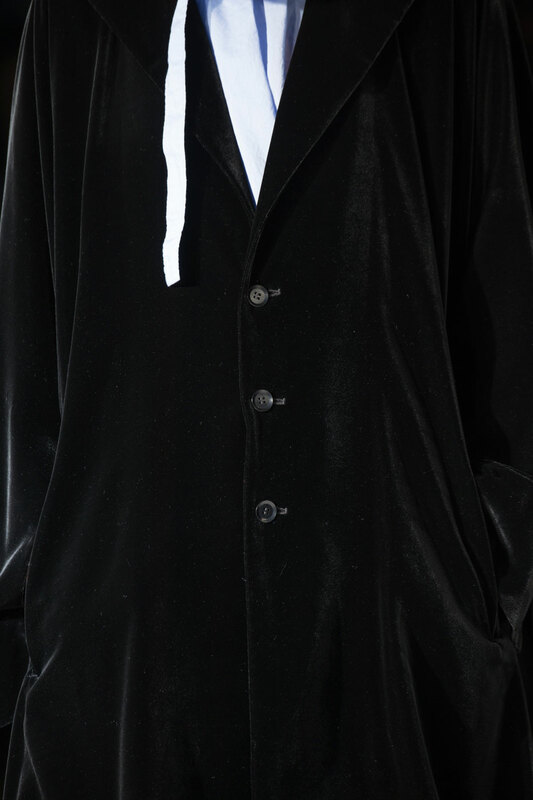 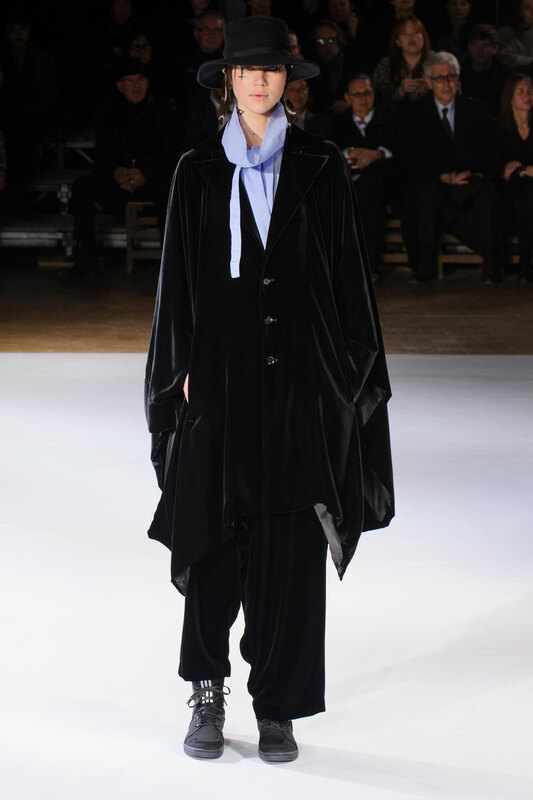 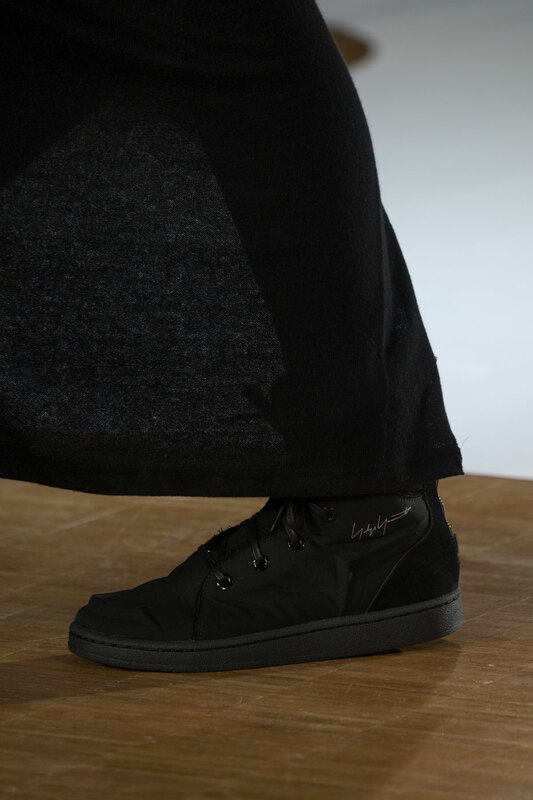 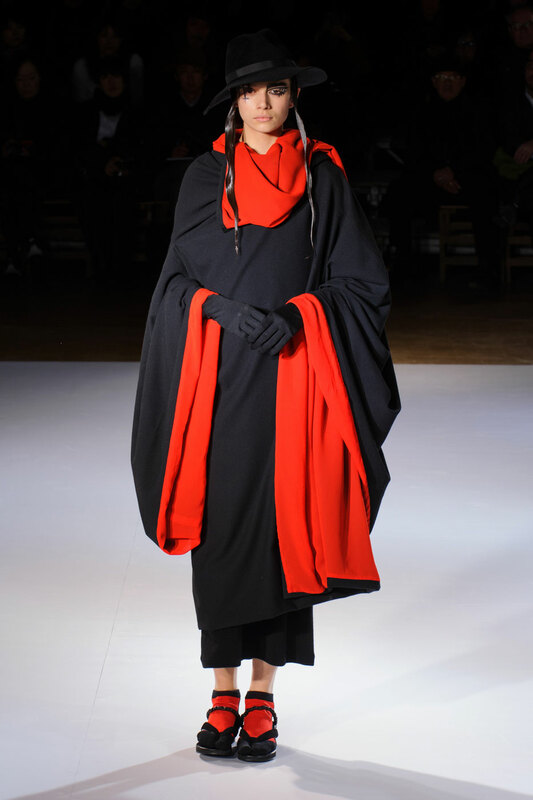 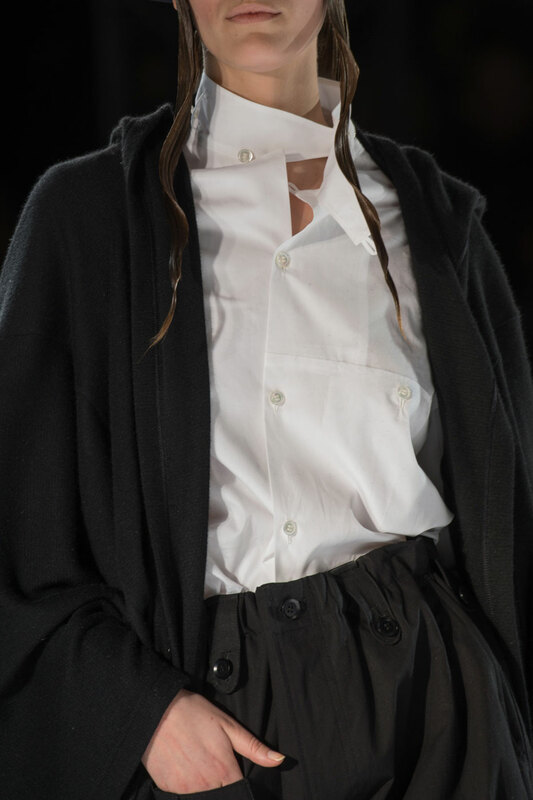 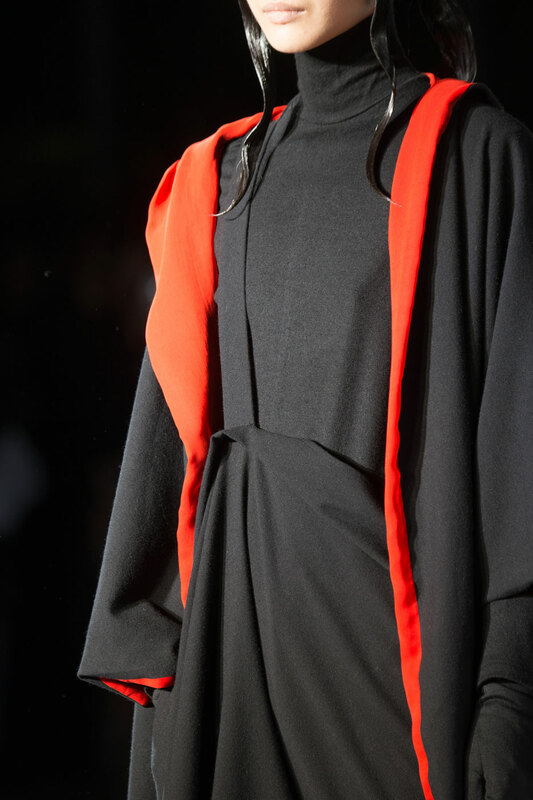 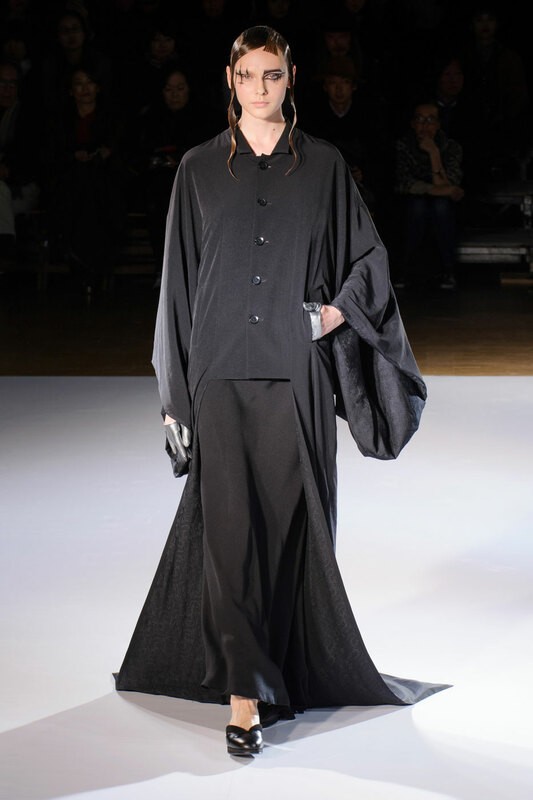 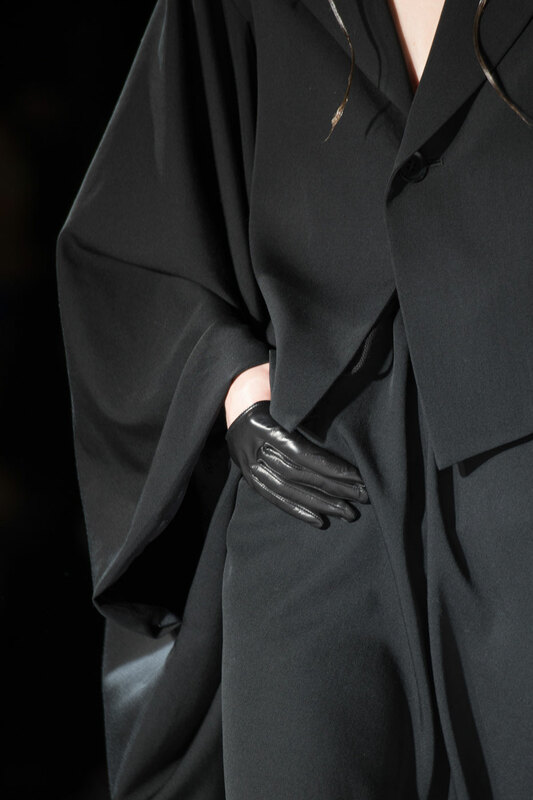 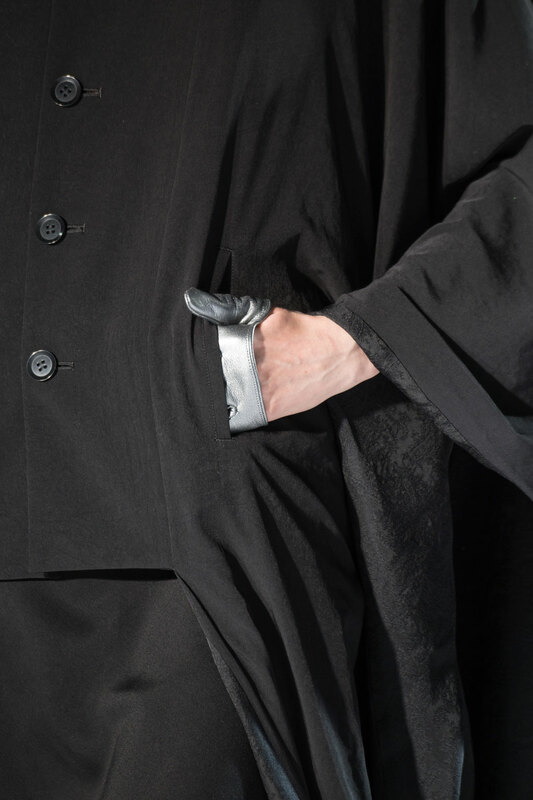 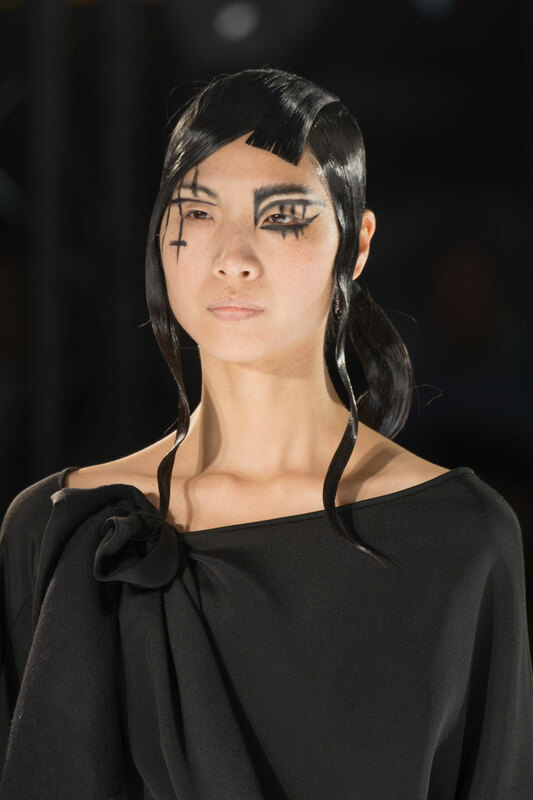 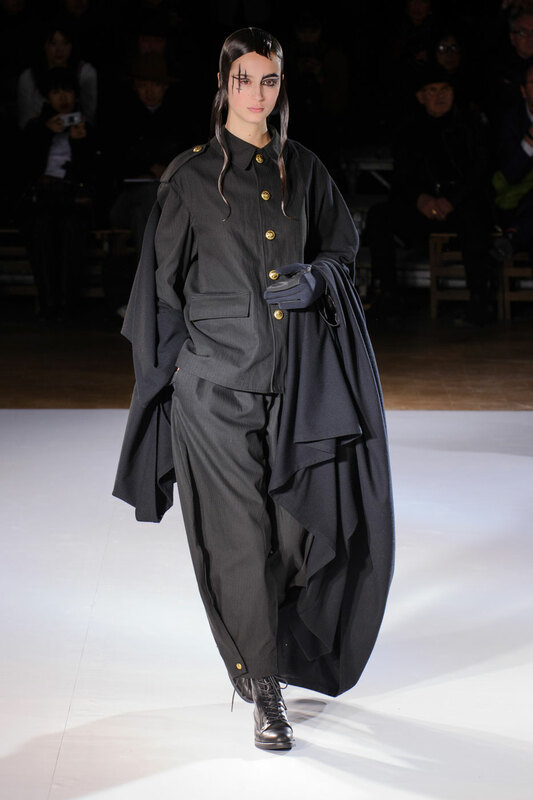 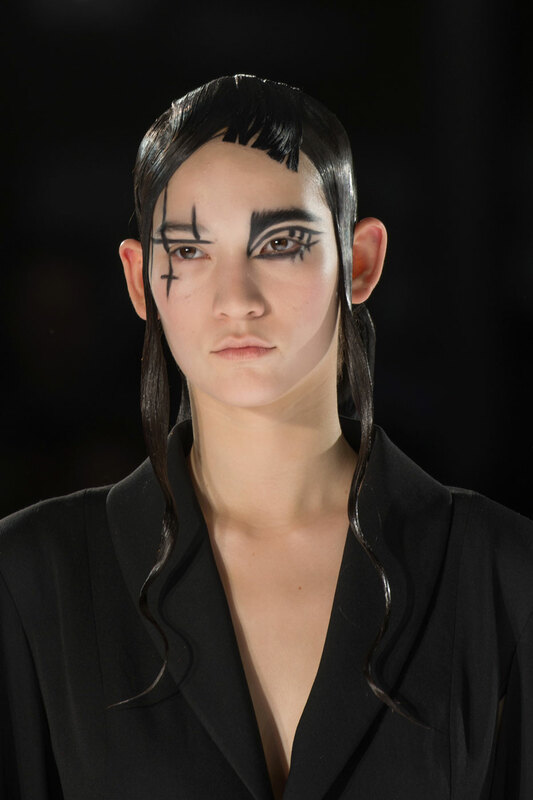 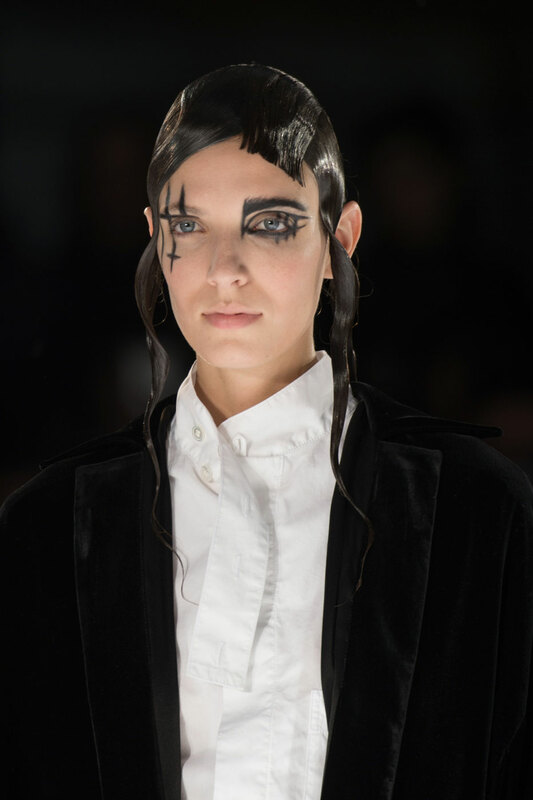 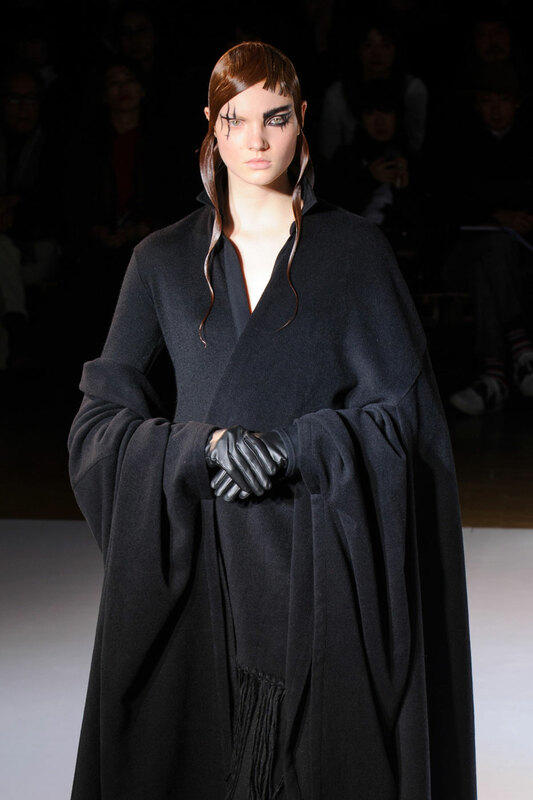 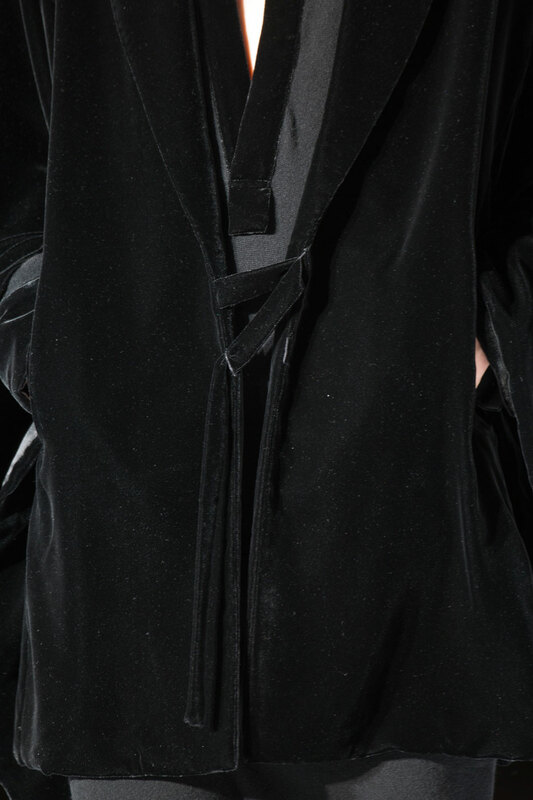 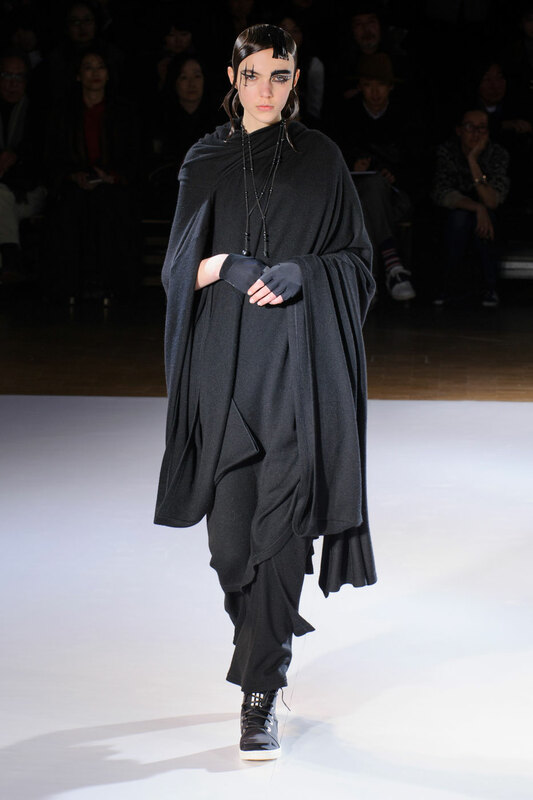 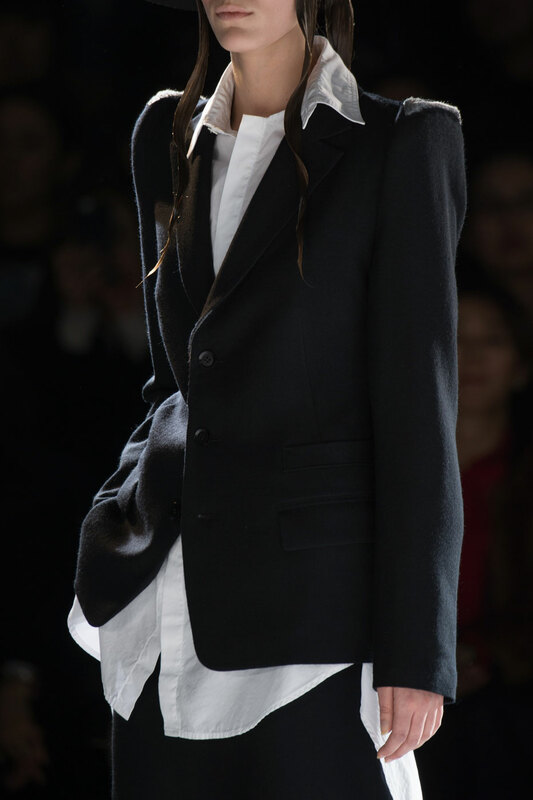 Yohji Yamamoto Women Autumn-Winter 2015 – Yohji Yamamoto brought a new vision to the catwalk for his eponymous label, translating the beauty of buildings into his designs declaring them “under construction”. 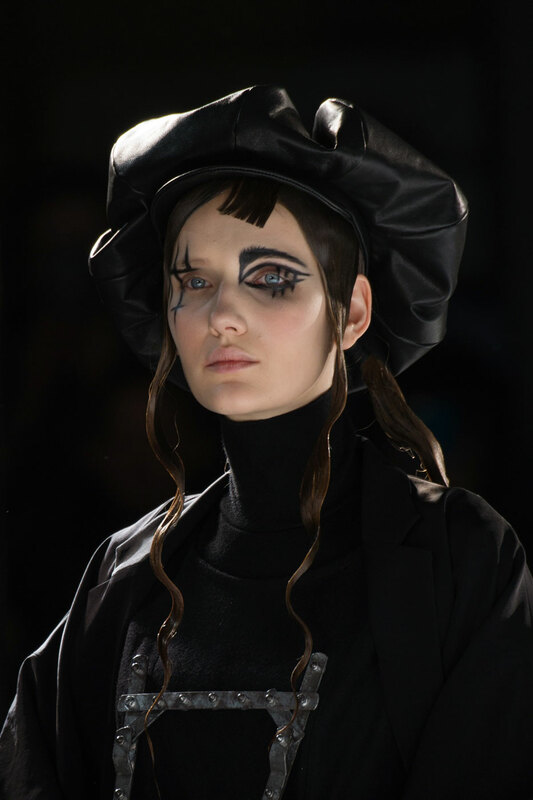 It was a dramatic collection created on a massive scale which required scaffolding, adding to the essence of works-in-progress. 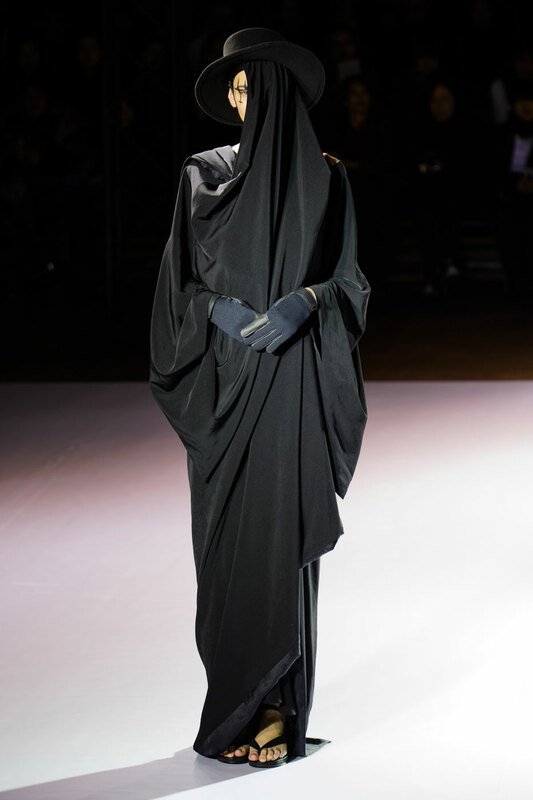 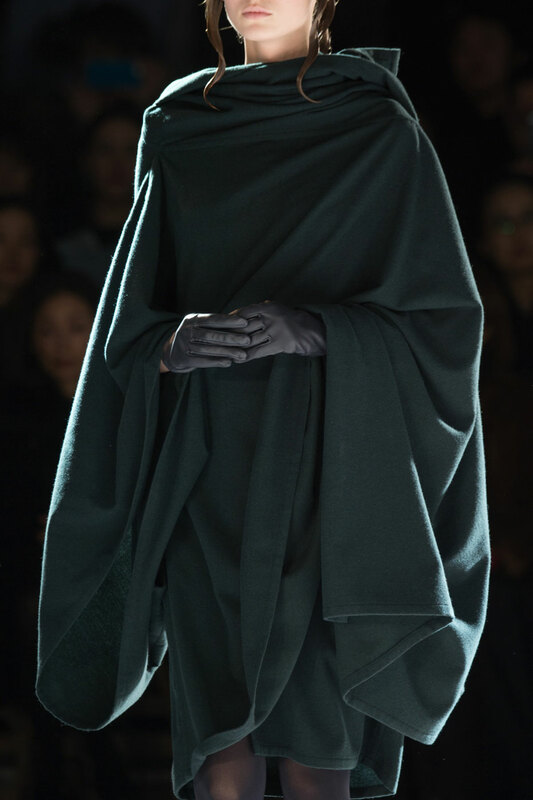 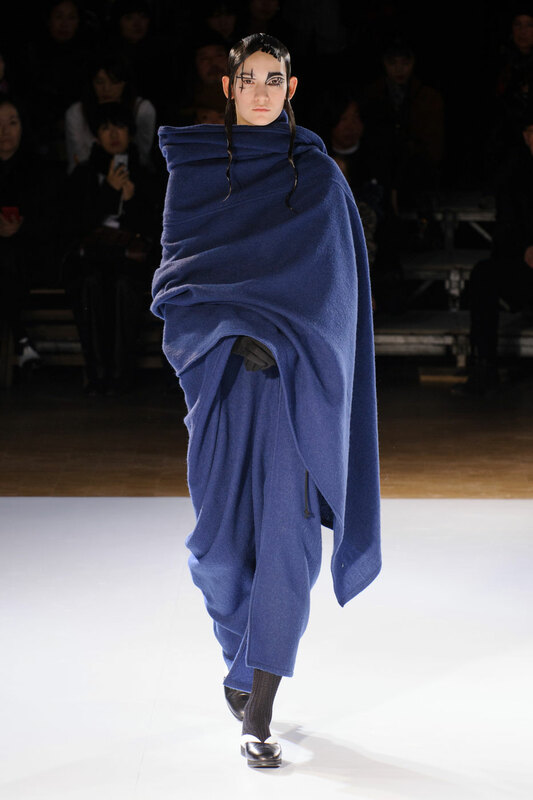 The show focused on fabric; Grecian inspired draping from a one piece of cloth could be simultaneously complete and incomplete, as far as the theme of the show goes. 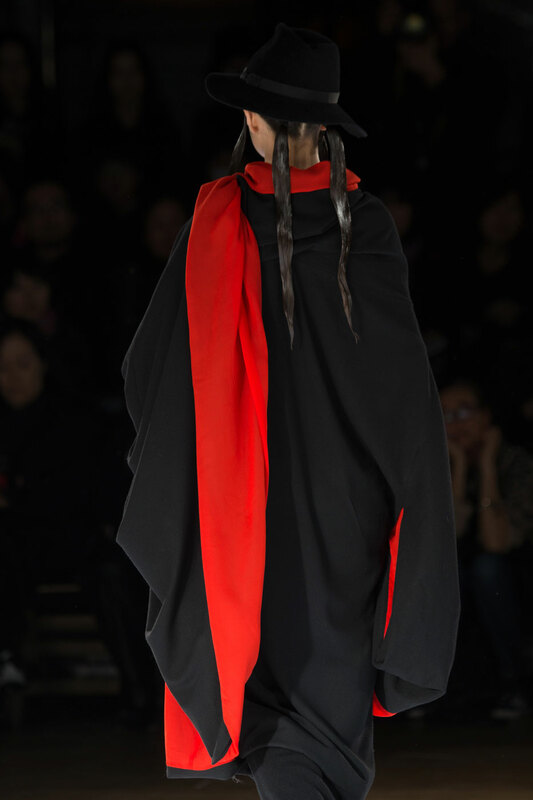 Kimonos followed next. 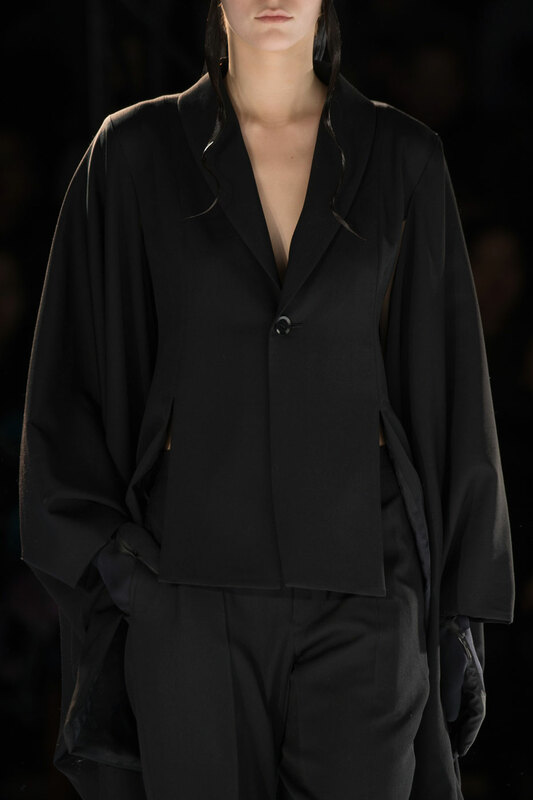 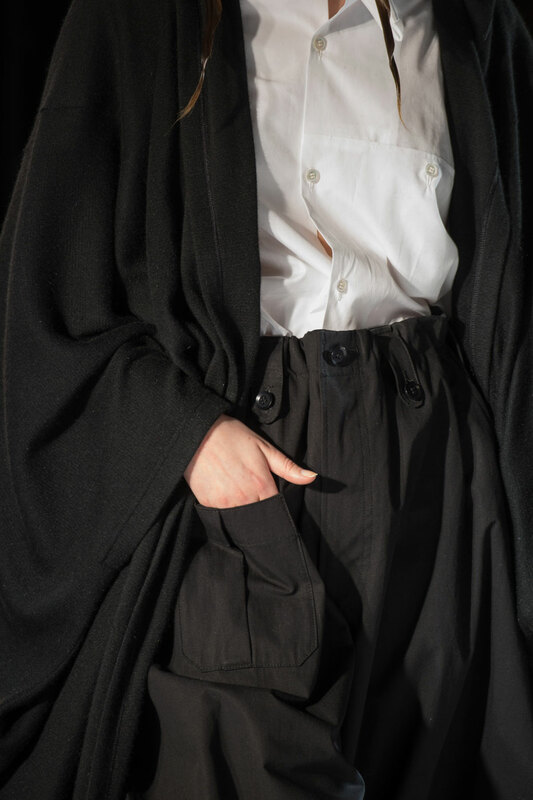 With an East-meets-West fusion, tailored jackets were softened and given kimono style sleeves which draped beautifully and added an elegant feel. 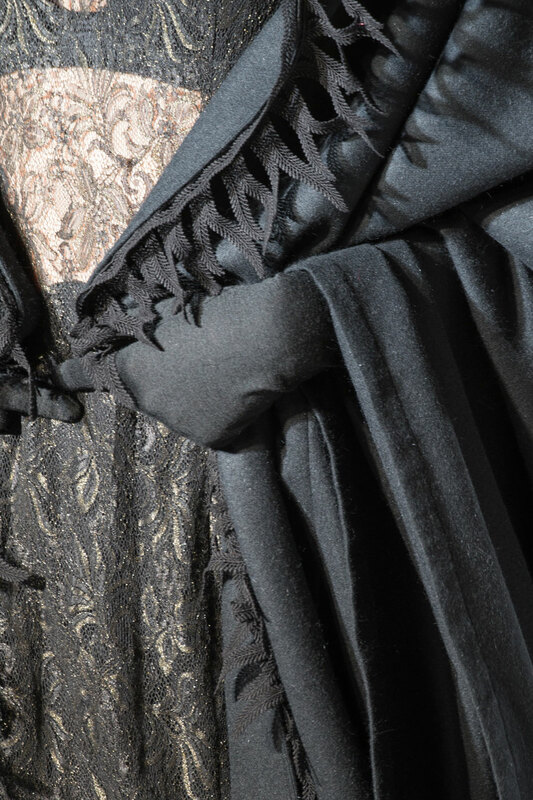 The colour palette of the line was predominately black, although it was dark and intense, the draping details of the line read poetic. 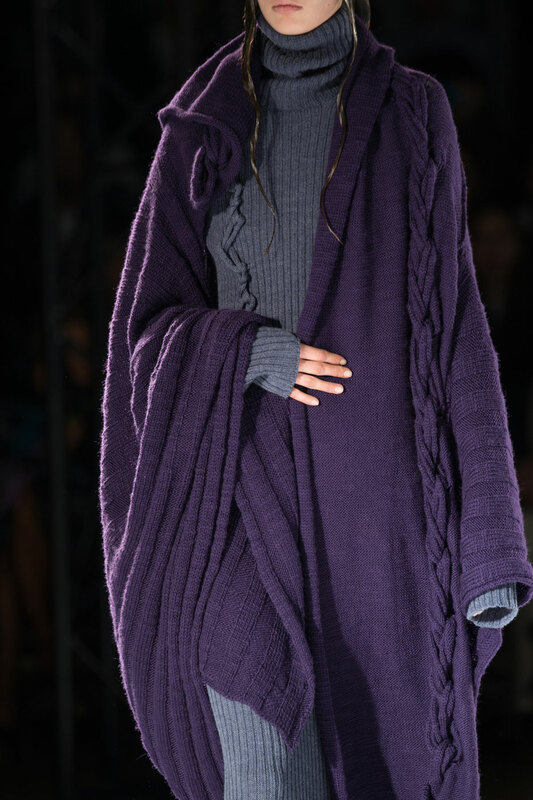 A brief infusion of colour made it onto the runway in robe style; violet, emerald, blue and brick, with a bleeding of blood orange throughout the line. 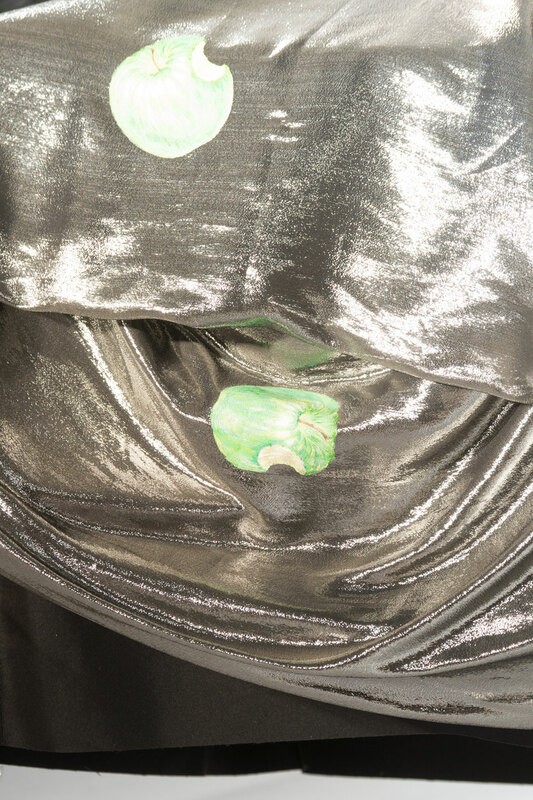 Then came the widest oversized structured gowns, with the strangest one resembling a liquid silver bed sheet, decorated with green apples and bite marks. 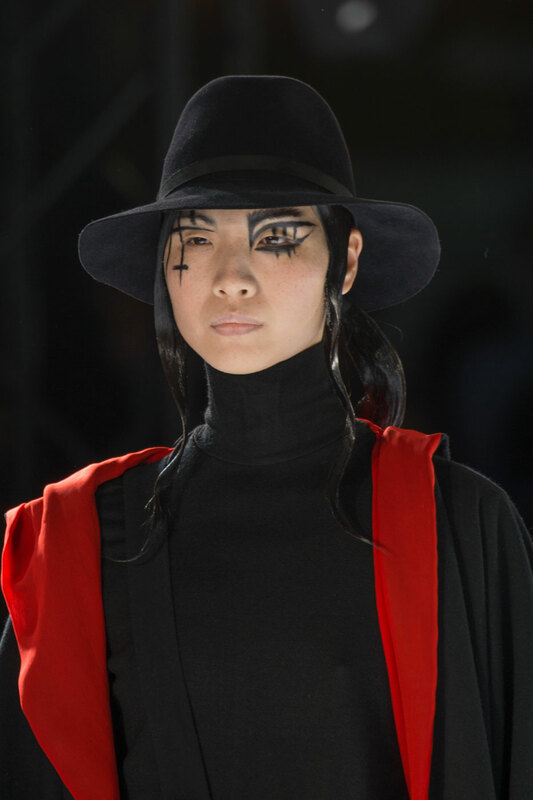 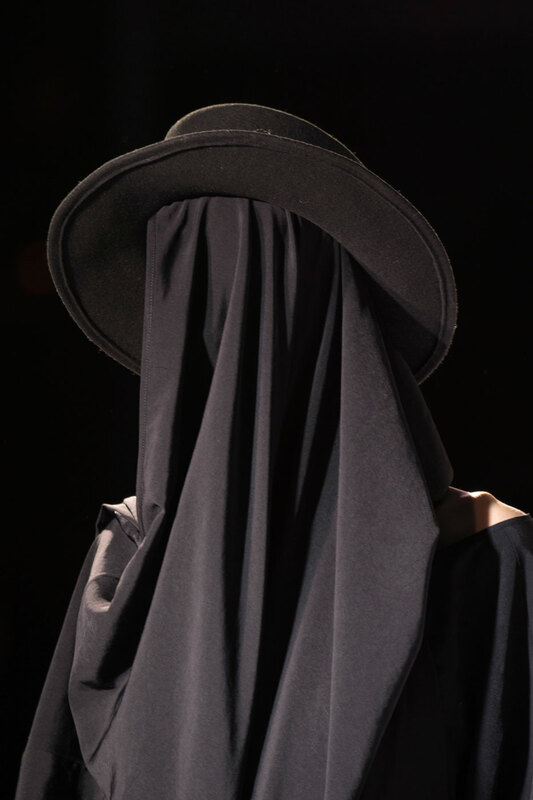 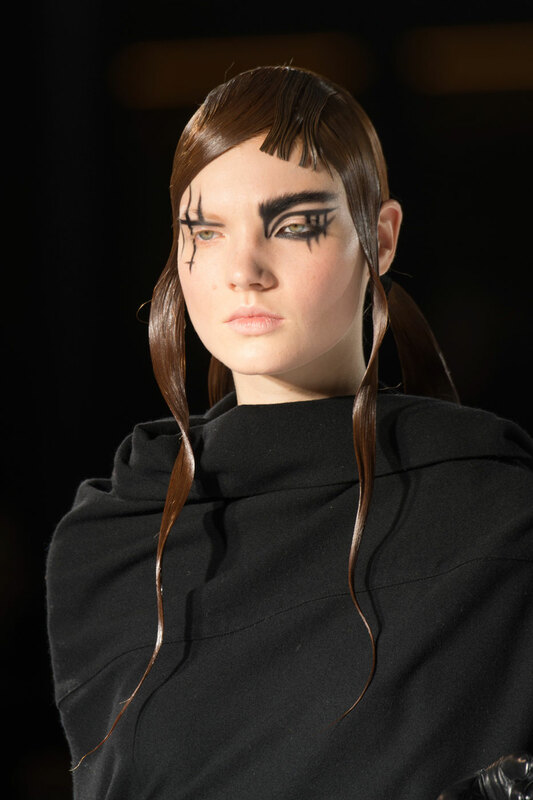 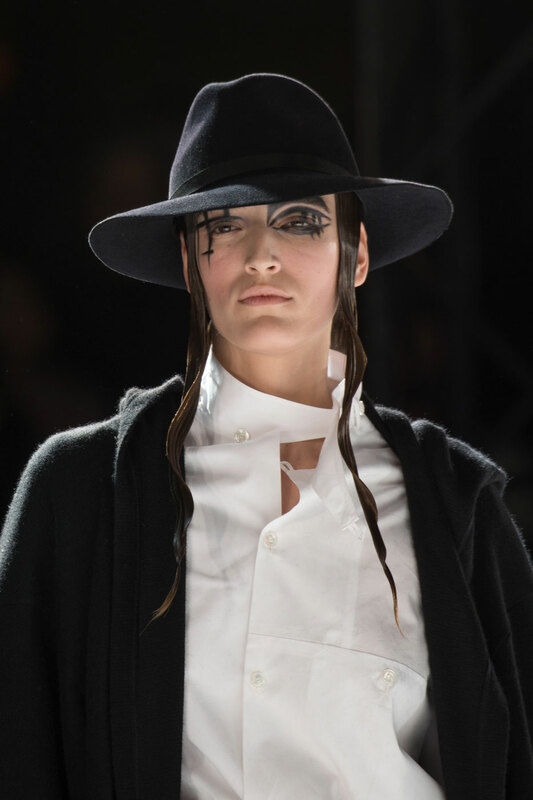 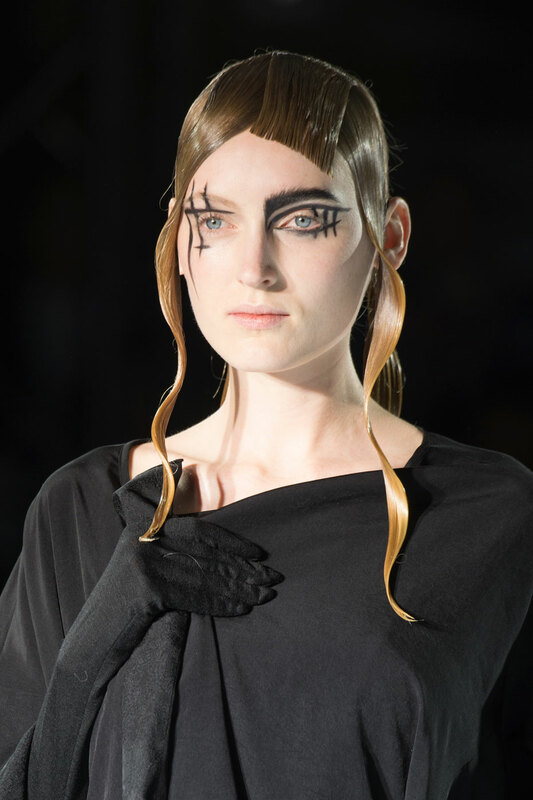 Fedoras added a mysterious element as models hid behind them, donning graphic eye make-up. 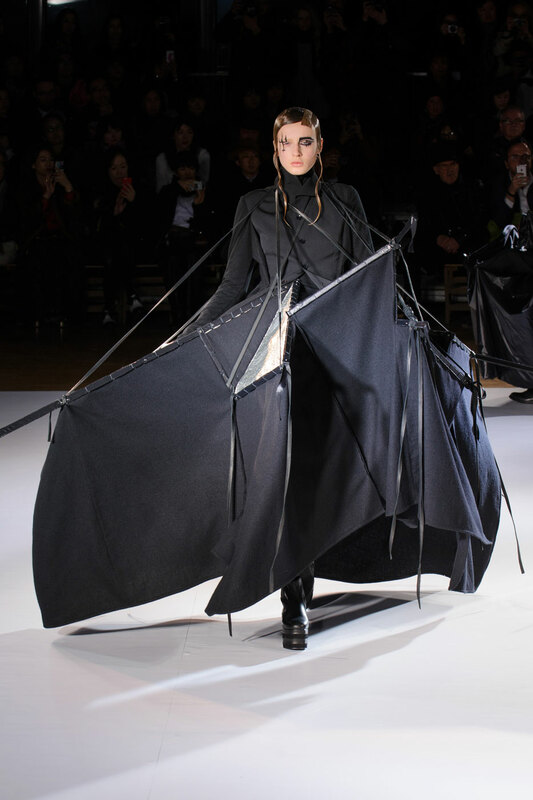 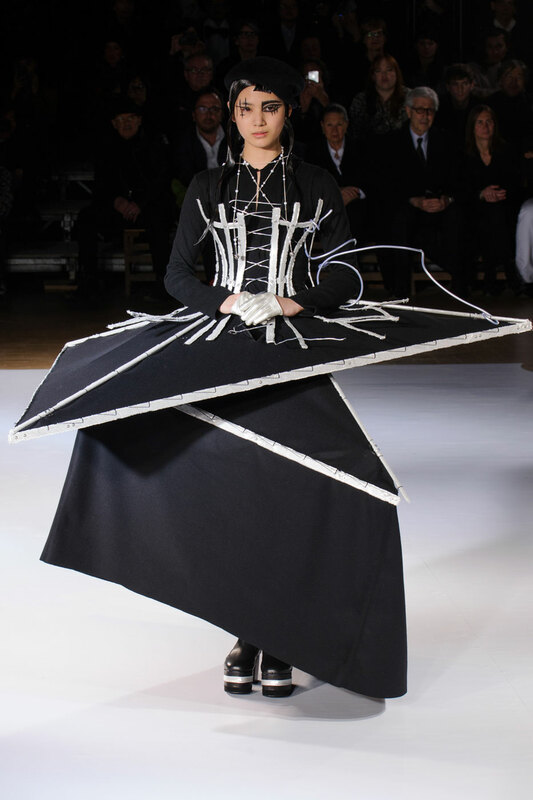 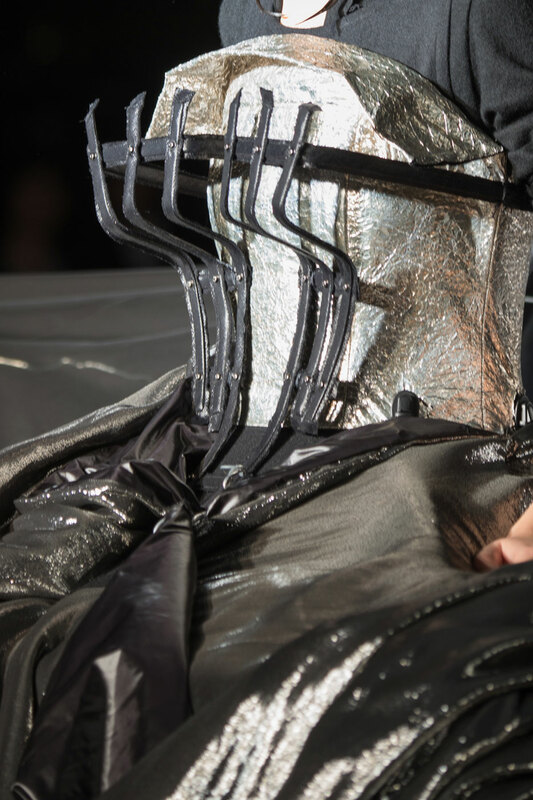 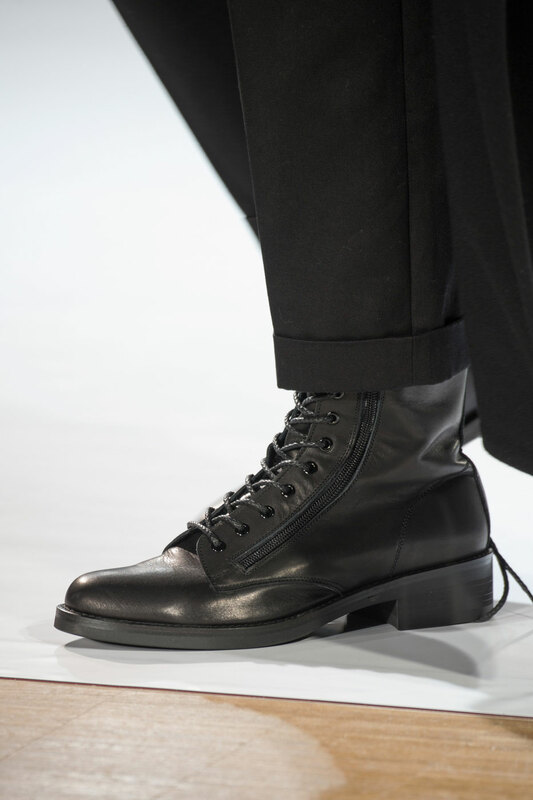 The master of avant-garde tailoring is very hard to beat. 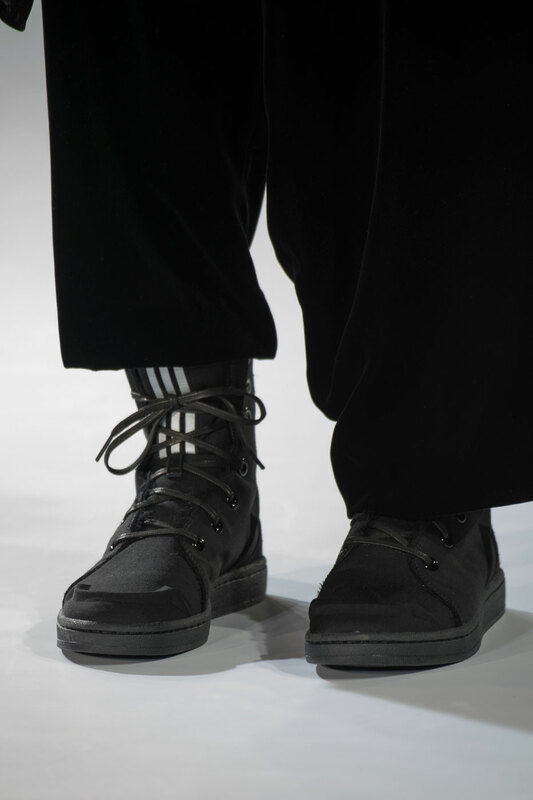 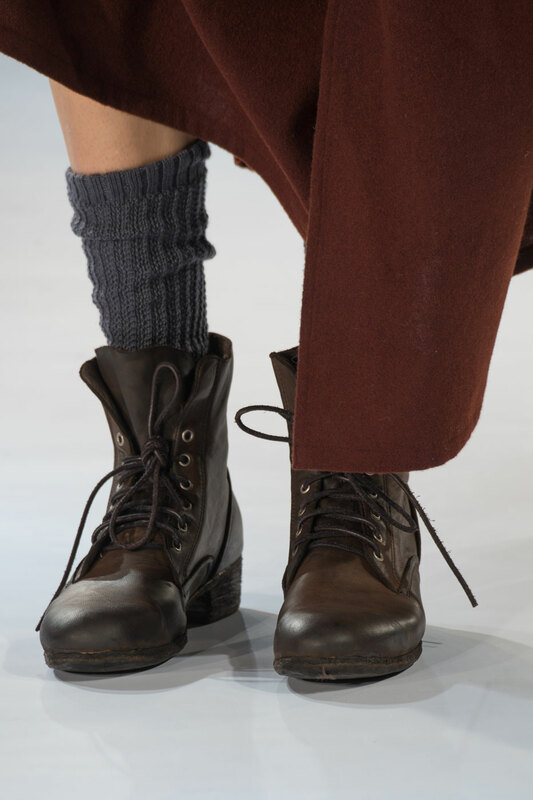 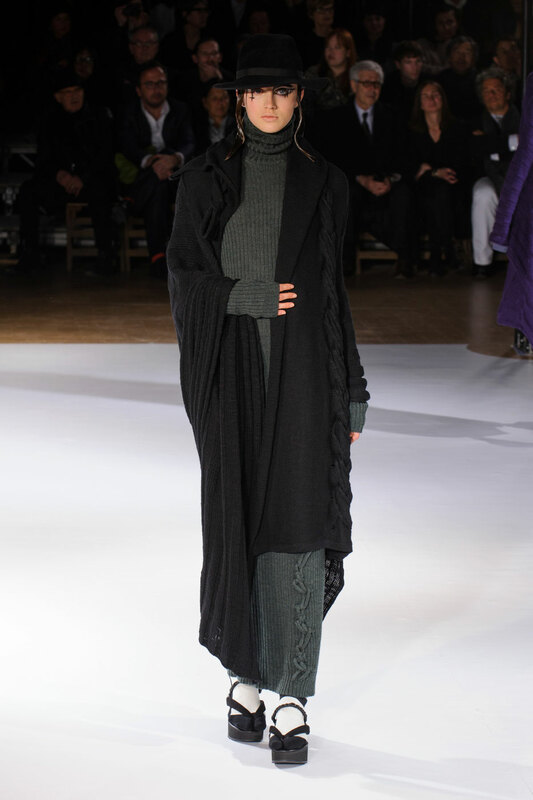 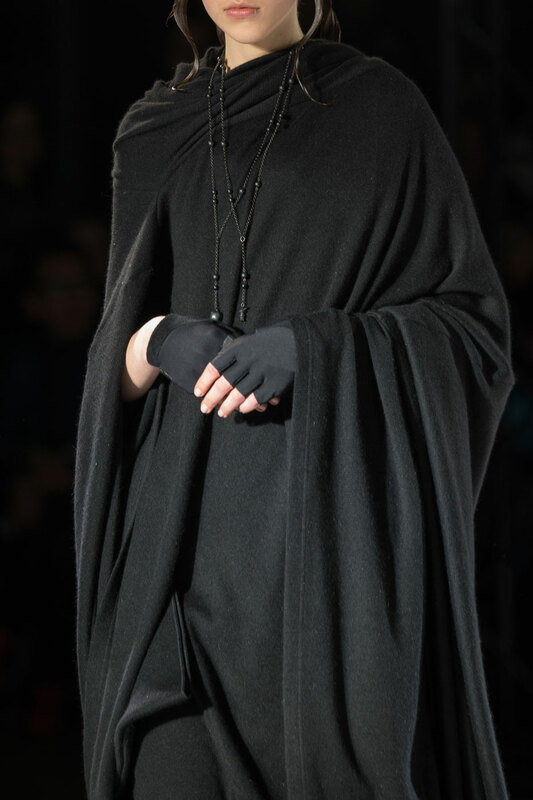 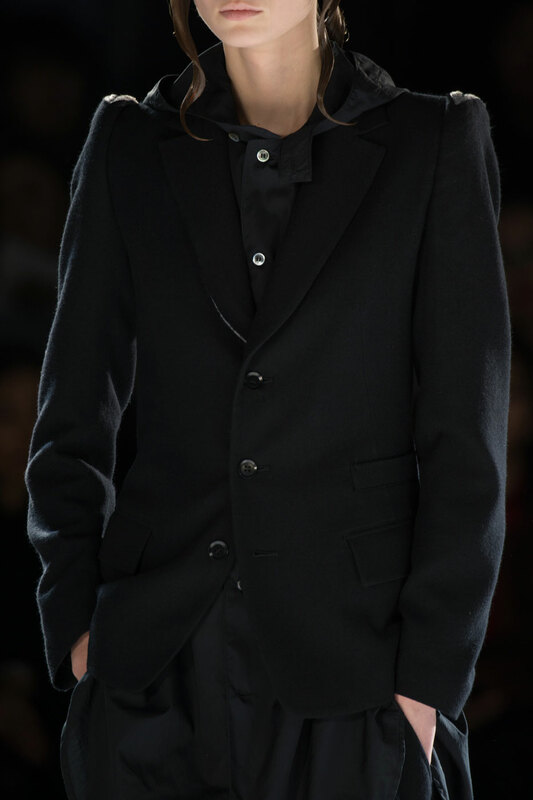 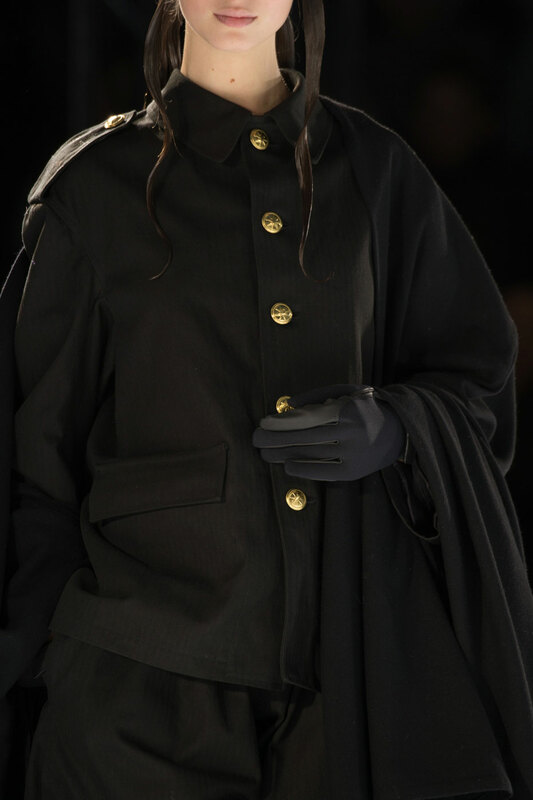 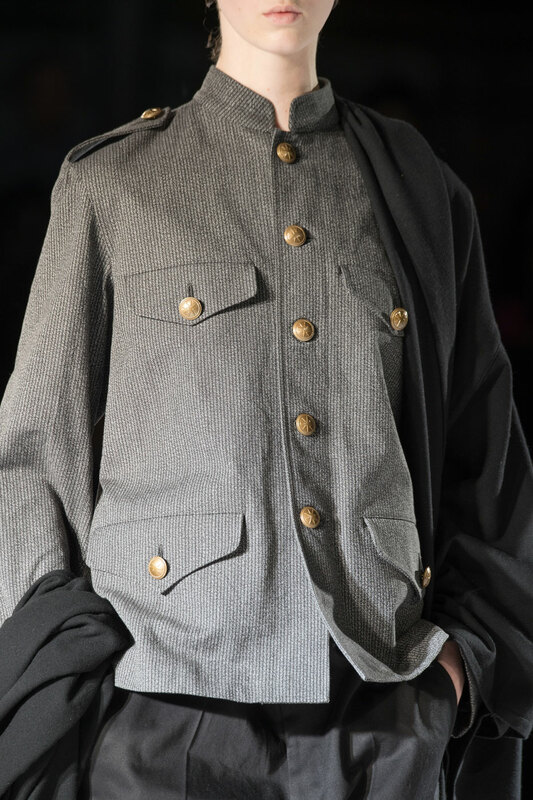 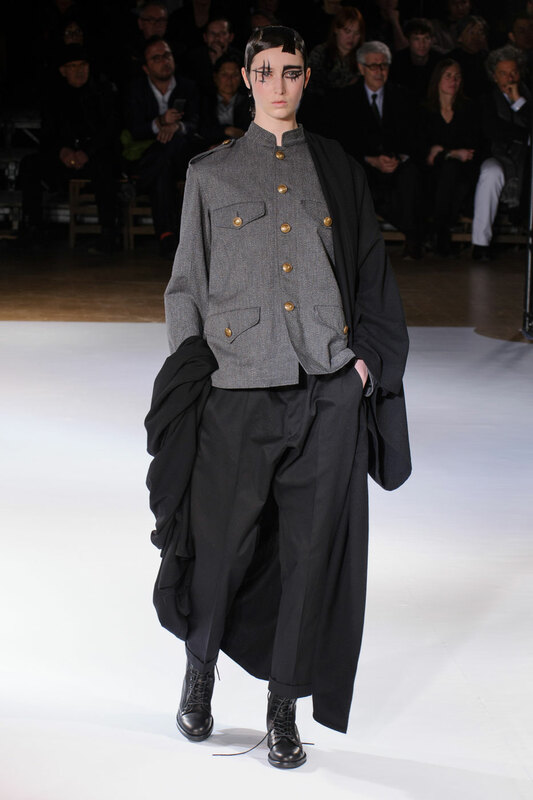 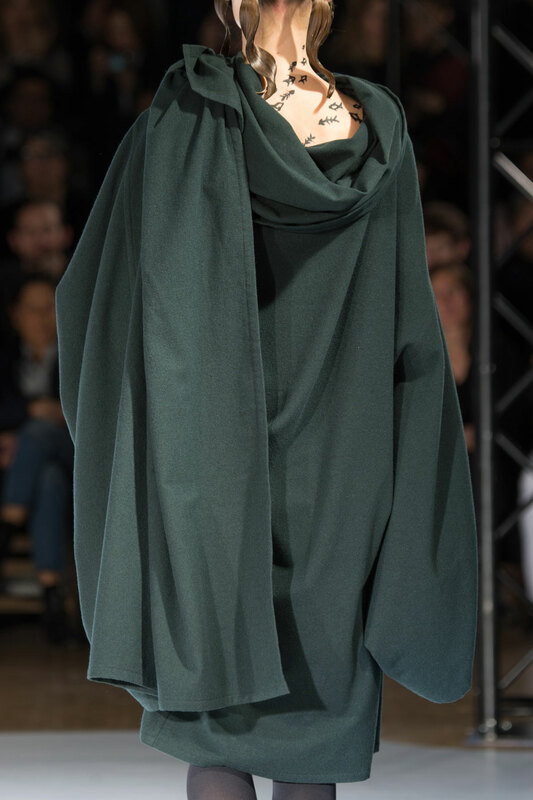 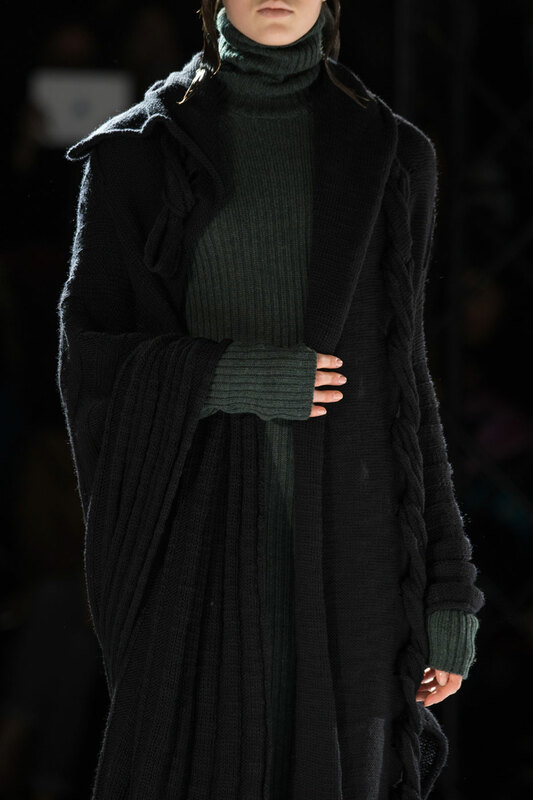 Yamamoto may have said this collection was “under construction,” but for Autumn-Winter he built something very solid.